This awesome Amazon Kindle Paperwhite bundle is $70 off, grab the perfect holiday gift! If you're looking to buy an excellent gift for the upcoming holidays, Amazon's latest offer might be the perfect match for you! 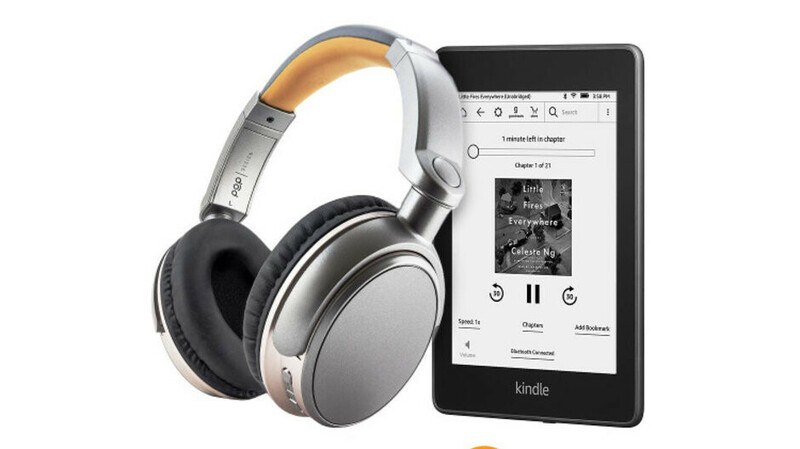 The e-commerce site is selling a bundle containing the latest Kindle Paperwhite e-reader, a pair of wireless Bluetooth headphones, and 3 months of Audible at more than 33% off! Typically, this assortment is priced over $210, but right now, you can get it for $139. When it became available this November, the 8GB version of the latest Kindle Paperwhite was selling for $130. With an 8.18 mm (0.32 in) "waist" and a 182-gram (6.41 oz) weight, the new e-reader is apparently more than twice as light as “many paperback books”. The design of the 2018 Amazon Kindle Paperwhite is further improved in one more essential way, adding IPX8 certification for full protection against immersion in up to two meters of fresh water for as long as 60 minutes. Although you can now get the Paperwhite for $100, spending a bit less than 40 bucks for this bundle will net you a bunch of nice bonuses. The Audible subscription costs $14.95 per months, so you are saving about $30 with this offer (excluding the 1st free trial month). On top of that, you get a pair of wireless headphones from Pop Design. These have a battery life of up to 16 hours and built-in features and controls for the Kindle Audible and the Audible Audiobooks App. If the 8GB variant doesn't have the space you require, you can also get the upgraded 32GB Paperwhite for $169 with this bundle. If this offer interests you, feel free to click on the widget below the table. The discount might end soon, so act swiftly if you like the deal! You didn't even link the deal. The only product link in the post is to the headphone category, not even the actual headphones.